H. U. 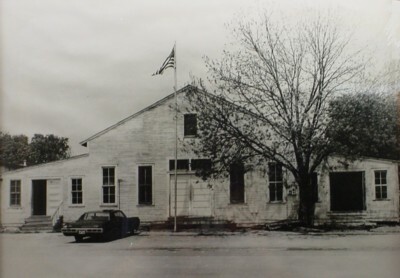 Wood Post 245, Seguin, Texas, was organized in 1920. 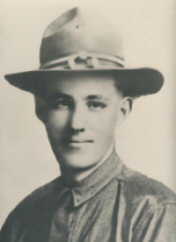 The Post was named in honor of Army Private Horace Urban Wood, a highly patriotic young man, who was killed in action in France. Horace Urban 'Urb' Wood was born in Round Rock, Texas, on December 4, 1894. His family moved to Cuero, Texas where his father published the Cuero Record. The Wood family moved to Seguin, Texas in 1904, where his father, Horace Greely Wood purchased the Guadalupe Gazette newspaper. Urb was possessed of a bright mind and acquired a knowledge of the printing business while his father was publisher of The Gazette. In 1912, he left his brother, T. Vincent Wood to operate the The Gazette, while he went to San Diego, California, where his parents had retired. After a couple of years, Urb returned to Seguin and became editor of The Gazette in 1914 and held that position until 1917, when he entered the armed forces. Urb was accepted by the National Guard and was subsequently attached to Company M of the 141 Infantry Regiment, 36th Infantry Division. Following training in July 1918, Urb's Company M, along with the rest of the 36th sailed for France. Horace Urban Wood was killed on October 8, 1918 near St. Etienne, France. Urb and a fellow soldier ventured over the top of their trench to try to rescue a fallen comrade when heavy artillery fire intensified, causing them to seek refuge in a shell hole in "No Man's Land" between the two armies. Three heavy artillery shells scored direct hits within that shell hole at almost the same time. A letter sent to a newspapers offered this description, "Not of a belligerent disposition but with an intensive love of country, Urban Wood's patriotic zeal could not be calculated. He entered military life determined to do his bit in making the world a decent place in which to live. He did nobly -- bravely; and now he has paid the supreme sacrifice." Horace Urban Wood was awarded posthumously the French Croix de Guerre. Horace Urban Wood is listed in the American Battle Monuments Commission records as 'Missing in Action'. Information obtained from "HORACE URBAN WOOD, Portrait of a Patriot" written by John C. Taylor, Publisher Emeritus, Seguin Gazette-Enterprise, in 1987. The old American Legion Post 245 building.